If the injury or illness is life threatening or requires immediate medical attention, call 911. Examples of injuries or illnesses that might require immediate medical attention include, but are not limited to: persistent or sudden chest pain, breathing emergencies (choking etc), uncontrollable bleeding, unconscious or altered level of consciousness, life-threatening injuries, such as injuries from falling ,severe head injuries, severe burn etc. For more information on medical emergencies, please click the link. If the incident is minor in nature and only requires first aid treatment (minor cuts, abrasions, splinters), the student should report to the department or employee where the incident occurred or report directly to the Student Health Center. 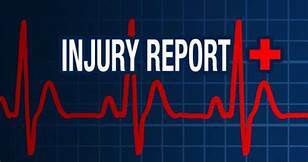 A Report of Injury form should be completed by the department or employee taking the report. For injury or illness that requires medical treatment off-campus, the student's own medical insurance is primary and should be used to secure medical care. It is the community member’s responsibility to secure medical treatment for their injury or illness. When possible, the department or employee witnessing the illness, incident or injury should complete a Report of Injury form. Stanislaus State provides Workers’ Compensation coverage, as required by law, for employees who are injured during the course and scope of employment. Incident or Injury - What is the difference? An incident is an accidental work injury or exposure that does not require medical care beyond in-house First Aid. An incident report notifies the employer that a worker had an accidental injury or exposure that may result in a claim or need for medical treatment in the future. An incident report is converted to an injury claim when the accidental work injury or exposure requires licensed medical care for the condition. An injury may result in death or require lost time from work.